I'm often asked to elaborate on what exactly 'Open Source' really is. It's easy for those of us involved in the software industry to expect everyone to understand the terms that we use on a daily basis and sometimes, it's great to have someone stop us and say "explain this to me". This is my attempt at clarifying exactly what Open Source really is! I'll start with a summary of the definition of Open Source. You can find the full text behind this at opensource.org/docs/osd. 1. 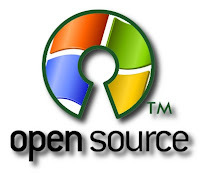 Free Redistribution - Open Source software should not be licensed for a fee, or be sold. 2. Source Code - The source code for the software must be distributed with the package or easily obtainable and must be in a format that any competent programmer could be expected to be able to work with. 3. Derived Works - Modifications to the software resulting in new, derived works must be allowed which can then be distributed under the same terms as the original license. 4. Integrity of the Author's Source Code - Open Source licenses may require that the software is distributed without any changes, but only if they allow the software to be re-built using patch files to produce a derived work at build time. 5. No Discrimination Against Persons or Groups - Open Source licenses must not discriminate against anyone. 6. No Discrimination Against Fields of Endeavour - This means that Open Source software should be licensed in such a way that it can be used for anything - whether big business or genetic research - without imposing any restrictions. 7. Distribution of License - The terms of the license must apply to whoever the software is distributed to. 8. License Must Not be Specific to a Product - If the software is distributed as part of a larger overall package, the license must not restrict anyone from extracting an individual component and distributing this under the same terms. 9. License Must Not Restrict Other Software - This essentially means that a piece of Open Source software is licensed as a complete, discreet entity. The license must to restrict this entity from being distributed along with any other form of software (Open Source or Commercial). 10. License Must be Technology Neutral - It must be possible to view the license without needing to run specific, targetted software. This usually means that the license is distributed as plain text, rather than something like PDF. So that's the definition out the way, but what does it actually mean? In practice, it's coming to mean "great software at no charge"! Open Source is becoming a real threat to commercial software vendors - just look at how Firefox is making inroads as a Web browser! The big differentiator with Open Source that has come about but isn't part of the definition, is that these applications are built by diverse teams of volunteers who give up their time to make technology better. They're not motivated by profit drivers of any kind - they just take pride in their work and want to make great technology available to as wide an audience as possible.